S.T. Crooke, Advances in Understanding the Pharmacological Properties of Antisense Olignucleotides. D.T. Curiel, Targeted Tumor Cytotoxicity Mediated by Intracellular Single-Chain Anti-Oncogene Antibodies. T.R. Flotte and B.J. Carter, In Vivo Gene Therapy with AAV Vectors for Cystic Fibroses. J.C. Glorioso, W.F. Goins, M.C. Schmidt, and D.J. Fink, Engineering Herpes Simplex Virus Vectors for Human Gene Therapy. M.M. Hitt, C.L. Addison, F.L. Graham, Human Adenovirus Vectors for Gene Transfer into Mammalian Cells. A. Irie and K.J. Scanlon, Anti-Oncogene Ribozymes for Cancer Gene Therapy. G. Parmiani, Cytokine Gene Transduction in the Immunotherapy of Cancer. D.L. Shawler and R.E. Sobol, Gene Therapy Approaches to Enhance Anti-Tumor Immunity. J.H. White, Modified Steroid Receptors and Steroid-Inducible Promoters as Genetic Switches for Gene Therapy. H-J. Xu, Strategies for Approaching Tumor Suppresor Gene Therapy. C.C. Benz and J. Park, Anti-p185 HER2 Immunoliposomes. Chapter References. Subject Index. Each volume of Advances in Pharmacology provides a rich collection of reviews on timely topics. Emphasis is placed on the molecular bases of drug action, both applied and experimental. Volume 40, GeneTherapy, features important new research on gene transfers and therapy in the herpes simplex virus, anti-tumor immunity, steroid receptors, cystic fibroses, and more. Researchers and technicians in pharmacology, immunology, molecular biology, biology and oncology. @from:Praise for the Serial @qu:"Recommended not only to pharmacologists but also to all those in related disciplines." @source:--NATURE @qu:"The works do represent an extensive compilation of recent data by outstanding researchers in this area. They are generally scientifically excellent, the bibliographies are good, and the individual reports are clear, concise, and extremely well illustrated." @source:--H.E. Kaufmann in CHEMOTHERAPY @qu:"Superb reading material." 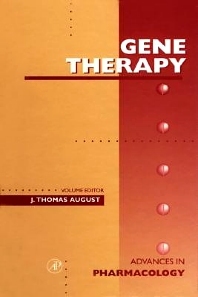 @source:--JOURNAL OF PHARMACEUTICAL SCIENCES @from:Praise for the Volume @qu:"This volume is intended for the reader with considerable background, experience, training, and knowledge in the field of gene therapy... is well written, comprehensive, and informative." @source:--Eugene Pergament, Northwestern University Medical School, DODDY REVIEW. Ferid Murad was born in Whiting, Indiana. Working concurrently on an M.D. and Ph.D. in Pharmacology, Dr. Murad graduated with both degrees from Case Western Reserve University, Cleveland, Ohio, in 1965. His many honors include the Alfred S. Maschke Award for Clinical Excellence from Case Western Reserve University in 1965. He has held several distinguished positions, including Acting Chairman in the Department of Medicine and Acting Division Chief, Division of Respiratory Medicine at Stanford University. He currently is CEO and President of Molecular Geriatrics Corporation in Lake Bluff, Illinois. Dr. Murad is married and has five children. University of Texas Medical School, Houston, U.S.A.